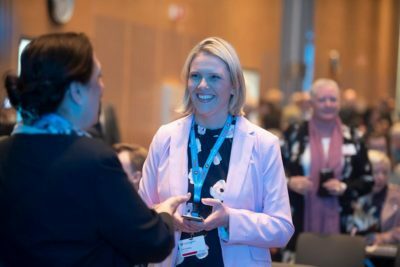 The conservative Progress Party’s Sylvi Listhaug had to resign as a government minister last spring, and was uncharacteristically quiet when her party fellow Per Sandberg also had to resign as a minister last week. Now, though, she’s ready to take over his post as the party’s deputy leader. Listhaug’s spokesman had said she was in South Africa when what the media dubbed “Circus Sandberg” was at its height. He upset both party fellows and opposition politicians by traveling to the Islamic republic of Iran on summer holiday with a new Iranian-born partner who came to Norway as an asylum seeker from Iran. That seemed to defy both the immigration-skeptical party’s and Sandberg’s own politics, and then he chose not to report his trip in advance and bring his government-issue telephone with him. That defied government procedures. Listhaug, who got in trouble herself for claiming that the opposition Labour Party had more consideratin for Islamic terrorists that for national security, said there were “several things that have led to the powerful reactions.” She wouldn’t say whether she agreed with Sandberg’s own assessment that he felt “stabbed in the back” by several of his former party colleagues who publicly criticized his new fondness for Iran. “I only know that there are very many who think it was right for him to resign, at the same time it was very sad,” Listhaug told DN. Both Jensen and Listhaug have stressed that it’s up to the party’s annual national meeting to elect a new deputy leader. The party’s central board, however, will select an acting deputy leader at its meeting in September, and that person will have the advantage of being an incumbent next spring, when the national meeting votes. Commentators agree that it’s likely to be Listhaug.